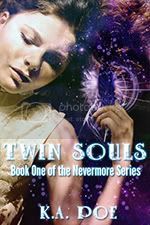 In celebration of book three in the Nevermore series being completed and awaiting editing and publishing, I have decided to do a massive giveaway of book one - Twin Souls! This is an excellent way for you to test the waters of the series without spending any money! Read the first book for free by downloading it from the Amazon website between July 25th and 27th, and if you like the series you can continue to book two, three, and eventually four! Getting new books out is a very exciting time for us, and we hope it is for you as well. To make things even more exciting we will be doing a sweepstakes/raffle associated with the free promotion of Twin Souls! For more information on how you can win an Amazon Gift card, keep reading to the end of the post! If you are visiting this blog I am not quite sure how you would not know what book I am talking about, but just to re-iterate which book will be going free, here is the cover and blurb! Blurb: Seventeen year old Alexis finds herself on the eve of her eighteenth birthday. What generally means a step into adulthood instead opens its way to a terrifying truth about not only her family, but herself. She comes from a long line of vampire hunters, and her real dad wants her to carry on the family quest. At the same time, she is falling for a new boy at school who has his own secret. He is a vampire. Alexis is forced to make a decision from which there is no turning back. - Will she deny this newly discovered heritage, or embrace it. 'Hey, I LOVE free stuff and the book sounds great, but what do I do to get it?' - It is pretty straight forward. On any of the listed free promotion days you will go to the book's sale page on amazon - HERE and click the button on the top left to 'Buy Now'. Amazon generally makes you go through payment information or at least shipping, but have no fears - the book is free, and is a digital copy! (E-Book). If you do not have a Kindle device of any sort, do not fear! You can still 'buy' the book when it is free and have many options on where you can read it. Most smart phones have a Kindle app that allows you to put your Kindle bought books on it and read there. Another option is Amazon's free e-reader for your computer. This is a completely free download and will allow you to read all of your Amazon Kindle E-Books from any computer. You can find the information on how to get it, and how to use it - HERE . Again, the free download period is from July 25- July 27! As stated in the title for this news post, there will be a raffle for an Amazon gift card which you can use on anything in the Amazon store! - E-books, paper books, electronics, clothes, you name it! There are many ways to enter, and you can use either an e-mail or sign up with Facebook! One lucky person will win a $25 Amazon Gift Card! Each entry will give you between 1 and 25 raffle tickets. The more tickets you have the better chance that you will be drawn for the Amazon card. The drawing is completely automated through Rafflecopter, so it is completely free! That is a total of 57 (+2 per tweet) entries per person! Lots of chances to win! 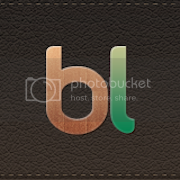 Here is the entry widget, if you would like it for your website please let us know and we will give you the code to use. well i do belive that you are very talented, and will become a wonderful author. May turn out to be the next Edger allen Poe. both book are amazing and drew me in. good luck in the big world of righting. havent read your book but I am looking forward to it. Thanks for the chance to win -- this books like a great read! Sounds like a thrilling book to read. Thank you for the chance of winning a good read. Thanks for giving everybody a chance to win! Your book looks really good and it's at the top of my to-read list! this book sounds interesting! not something I would pick out on my own, but I would certainly give it a shot! I am looking forward to reading your book. It sounds interesting and compelling. Sounds like it would be fun book to read. Sounds like a awesome books, thanks for the chance to win! Everyone be sure to download the book for free today! It's worth TEN entries! My wife might like this book, thank you for having a great giveaway! I haven't read this yet but it sounds fantastic! Sounds like an interesting book, I look forward to reading it.